SWAT is one of the special police unit, they are responsible for executing the high risk mission, their cool design machine guns are the kids favourite, because the machine gun are more powerful than hand gun, the kids hold the toy machine gun to pretend they are one of the SWAT. 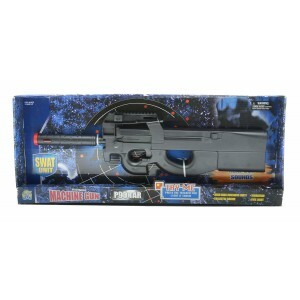 We have several styles of toy machine guns for different missions. 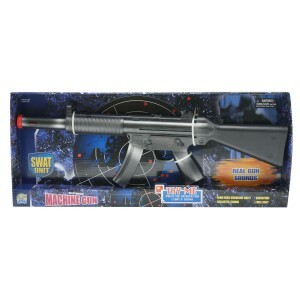 When push the trigger, fire light, vibration and amazingly realistic gun shot sound enable the kids have fun. We believe the kids want to collect them all.